Infectious diseases are a leading complication after solid organ transplantation being associated with high morbidity and mortality. 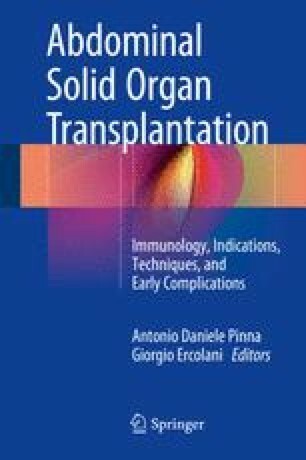 Patients undergoing abdominal organ transplantation have some unique risk factors for bacterial and fungal infections in the early phase (1 month) after transplantation. Hospital-acquired infections with multidrug-resistant pathogens are the main infectious threat in this period. From the 2nd to 6th month after transplantation, the risk of opportunistic infections is highest due to the high level of immunosuppression usually present at this time. Prevention strategies have reduced the incidence of viral, bacterial, fungal, and Pneumocystis diseases in this period. However, in some cases the incidence of such infections is only deferred to the late period, when prophylaxis is stopped. A lower index of suspicion and atypical manifestations of such infections in the late period (>6 months after SOT) may result in a delayed diagnosis and poor outcome. In the patients with uncomplicated clinical course and good graft function after transplantation, the risk of infection decreases in the late period becoming similar to that of general population. However, community-acquired infections may progress rapidly, and multiple pathogens (virus–bacteria, virus–fungi) may be present. Given the difficulties in diagnosis and management of infections in this setting, the prevention of infections is of paramount importance, and any effort to prevent infectious diseases should be done since the first patient assessment before transplantation. In this chapter the epidemiology, timing, management, and prevention of the main pathogens of infectious diseases after abdominal organ transplantation are reviewed.